Regarding the gain adjustment, it adjusts the amount of negative feedback on the 6922: "0dB of feedback at the high-gain setting is followed by 3dB of feedback for medium gain and 6dB of feedback for low gain." 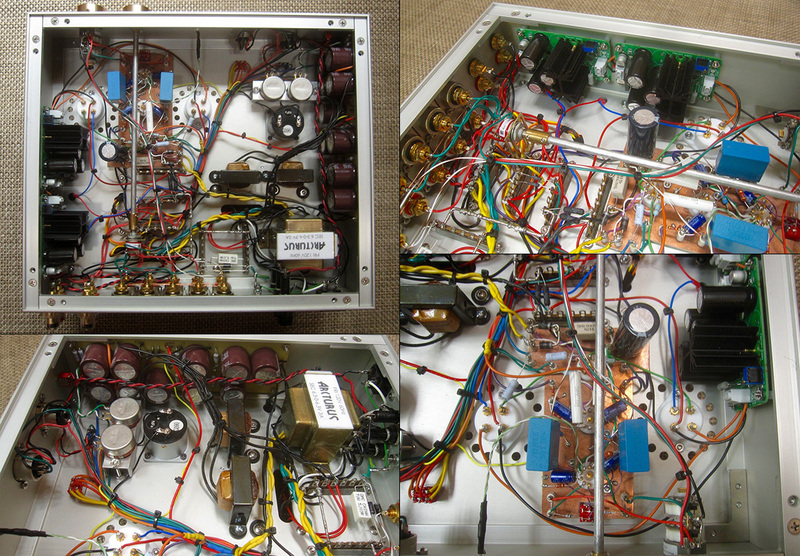 The primary impedance of the output transformer is 12KΩ and the volume control is a 100KΩ stepped DACT attenuator. All parts are considered premium quality. Input impedance of the amp is 100KΩ and input sensitivity is 1Vrms for full output. Operation is straightforward and user friendly. You set bias after warmup and if your AC is as stable as mine, you will not need to adjust it for some time to come. Other than that, you determine the gain setting which best matches you system and off you go. During my time, the Arcturus was stable, reliable and a pleasure to use. Since it is an integrated amp with active tube linestage, I put into service my 7PX4 solid-state phono stage, Stan Klyne's latest iteration of his highly regarded phono stages (the 7PX4 is only available as an upgrade to an earlier model). 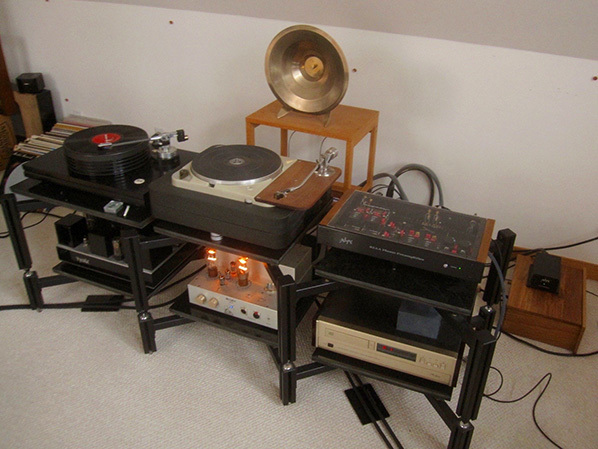 This stood in for my normal setup of Doshi Alaap Purist Mk.II full-function preamp and Tron 211 SET amp. I had the Klyne updated a few years ago but not used it much. In fact, I came to realize during this review that I really hadn't fully broken it in yet. There were a lot of parts replaced and they needed more time to settle in. Shame on me! As luck would have it, whilst playing my system for George prior to installing the Arcturus, I noticed that one of the cuts I know very well lacked in dynamics with also some mild mistracking. I keep a log of hours I put on my cartridges and after adding up my recent few months of playing, I realized that my Benz LP-S cartridge was dying. I ordered a new one and put 40+ hours on it. Unlike some reviewers, I do not have a stable of suitable backup moving-coil cartridges on hand. After break-in of my new Benz, I spent three or four sessions painstakingly aligning and double-checking it for all setup parameters. 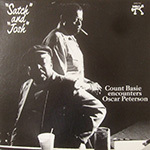 I started my LP session with Satch and Josh [Pablo 2310 802] since Pablo recordings seem to have almost unwaveringly excellent tonal balance which is always the first sonic characteristic on my check list. Even before dropping the needle, I noticed how the amp was dead quiet through my 100dB Bastanis speakers. I'd gotten used to a very slight electronic buzz from the Tron but it never became objectionable nor was it audible from my seat. Right from the first cut, both pianos sounded full-bodied and lively and there was no sense of brightness or other untoward anomalies. This is an average Pablo recording but the Arcturus/Klyne rendered the performance in a thoroughly enjoyable way. Coming off my Doshi/Tron team, I did detect differences. To be sure that they were not just due to the Klyne, I also listened to familiar CDs with my vintage 1987 ladder-DAC Accuphase DP-70 CD player with Tom Evans reclocker upgrade. The Arcturus did not draw the leading edges quite as crisply as the Doshi/Tron combo. Also, it didn't possess the same midbass weight and slam. On the other side of the coin, the Arcturus has a sublime midrange and was faultless right through the critical upper midrange. Being a tube roller, I eyeballed the brands George had installed. To his credit, they were good vintages: RAM Labs-labeled Amperex A-frame 6DJ8, Siemens 5751, GE 7044. I substituted an earlier D-getter Amperex 6DJ8 and found the presentation preferable with a touch more overall smoothness. I did not venture further as I was quite pleased by just this one change. The midrange was especially pleasing and I found myself Googling for information on the history and pedigree of this power triode. I found an informative page describing its lineage from the 210 / 10 / 10Y / 801A / VT62 . I've heard SET lovers swear by the 10 and always wanted to hear an amp with it but its super-low power is quite limiting. Here it seems like the 801A might fill the bill. In case you're wondering how George will source sufficient 801A tubes, Elrog is soon to release a new production 801A. There is simply no information on pricing at this point. My 18-year old early Tron 211 and Arcturus 801A amp both use transmitter power tubes with thoriated tungsten filaments unlike the oxide-coated filaments of receiving tubes. Thoriated tungsten has better emission efficiency than coated cathodes. While I can't say that the distinction of thoriated tungsten filaments is related, I can say that these amps shared a directness of sound along with iron-fisted grip. They excelled at conveying the excitement and intensity of an exuberant live performance yet also shifted gears to portray all of the nuances of a more intimate recording. While you may say that any high-end amp should be able to do this, that has not been my experience. 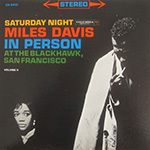 I started listening with one of the best live Jazz recordings I own - a mint copy of the original Columbia six-eye release of Miles Davis In Person Saturday Night at the Blackhawk, San Francisco Vol. 2 [Columbia CS 8470]. Along with Vol. 1, these LPs should be in any serious collection. "So What" sounded almost beyond criticism. The soundstage was equally wide with the Arcturus as it is with my residents but did not extend into the rear quite as deep. That was a small compromise which I ultimately did not find detracting.